Since 2016, when Christie’s and Sotheby’s squished their November Impressionist and Modern and post-war and contemporary art sales into one week, these few days have become known as “gigaweek”, when billions of dollars worth of art hits the auction block. Last year’s sale totals were hard to beat due to the $450.3m sale of the Salvator Mundi, the most expensive work of art ever sold. This year, however David Hockney became the world’s most expensive living artist when his “holy grail” pool portrait sold for $90.3m. Besides the sky-high prices, what unites the Salvator Mundi and Hockney sales is conspiracy theories—while speculation over the former rumbles on a year later, the latter’s lack of reserve or guarantee also sparked debate about its “true” market value. 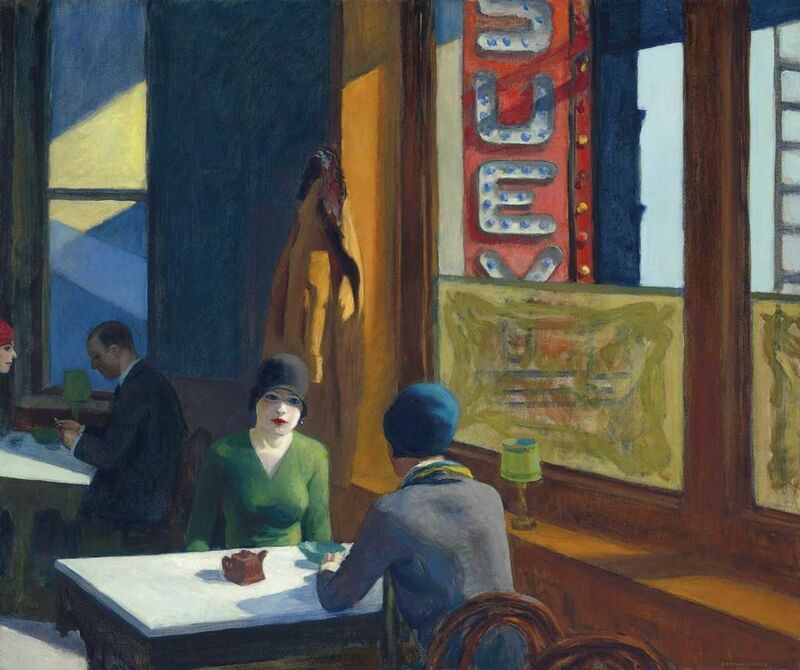 Edward Hopper’s Chop Suey (1929) also made a record at $91.9m (with fees), but many other works with big estimates fizzled. Here are some of our highs and lows. At Christie’s post-war and contemporary art evening sale on 15 November, David Hockney’s 1972 Portrait of an Artist (Pool with Two Figures) sold neatly on the nose of its unofficial estimate of $80m ($90.3m with fees), a record for a living artist at auction. The price trebled the current record for Hockney ($28.4m), only set in May this year. The manner in which Portrait of an Artist was sold, apparently by the British billionaire Joe Lewis, with no guarantee and no reserve, was catnip to conspiracy theorists. Christie’s Loïc Gouzer says the consignor “turned down substantial third-party irrevocable bids”. It is very unusual for a work at this price to have neither a reserve nor a guarantee, and such an anomaly inevitably sparked rumours around the art market about the deal, especially when the estimate was so tidily met. But this three-metre-wide painting, which took Hockney only three weeks to paint, is a great work, and it crushed the previous record for a living artist, held by Jeff Koons for his Balloon Dog (Orange), 1994-2000, which sold at Christie’s in 2013 for $58.4m. The Hockney buyer, at the time of writing, remains a mystery; David Ross, the British co-founder of Carphone Warehouse who already has a large Hockney collection, has been suggested, but is he quite rich enough? African American artists swept Sotheby’s contemporary sale on 14 November, compounding a market shift that was first felt in earnest in May when Kerry James Marshall’s Past Times sold at Sotheby’s for $21m. Three artist records were set over the course of the evening. First, for Henry Taylor when I’ll Put a Spell on You (2004) sold for quadruple its estimate at $800,000 ($975,000 with fees). Then, for Jack Whitten, who died earlier this year, as Ancient Mentor I (1985) hammered for $1.8m ($2.2m with fees), more than double his previous record of $855,000. 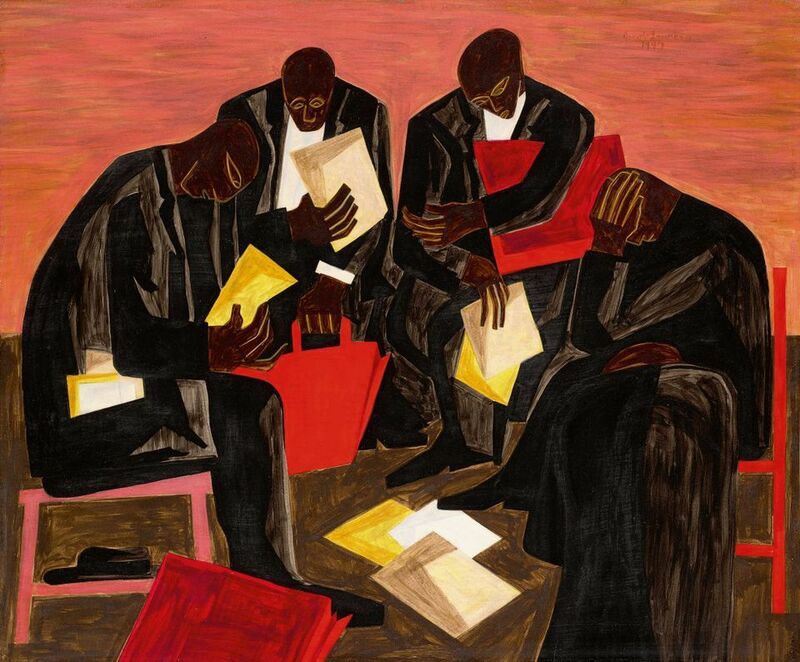 But Jacob Lawrence’s The Businessmen (1947), which hung in the White House during the George W. Bush administration, stole the show—it sold for $5.2m ($6.2m with fees), tripling its high estimate of $2m, after intense bidding. According to research by Charlotte Burns, the editor of Art Agency Partners’s podcast In Other Words, this was the only evening sale of the week in which the majority of the value did not come from works priced higher than $10m—instead, 43% of the sale’s value came from lots in the $5m to $10m range. At Christie’s contemporary evening sale, meanwhile, 66% of the value was at the top end—eight lots sold for more than $10m each, for a combined $235m. Phillips’ decision to scrap its dedicated sales of Latin American art in favour of rolling them into its 20th century and contemporary auctions appeared to pay off—for Carmen Herrera at least. 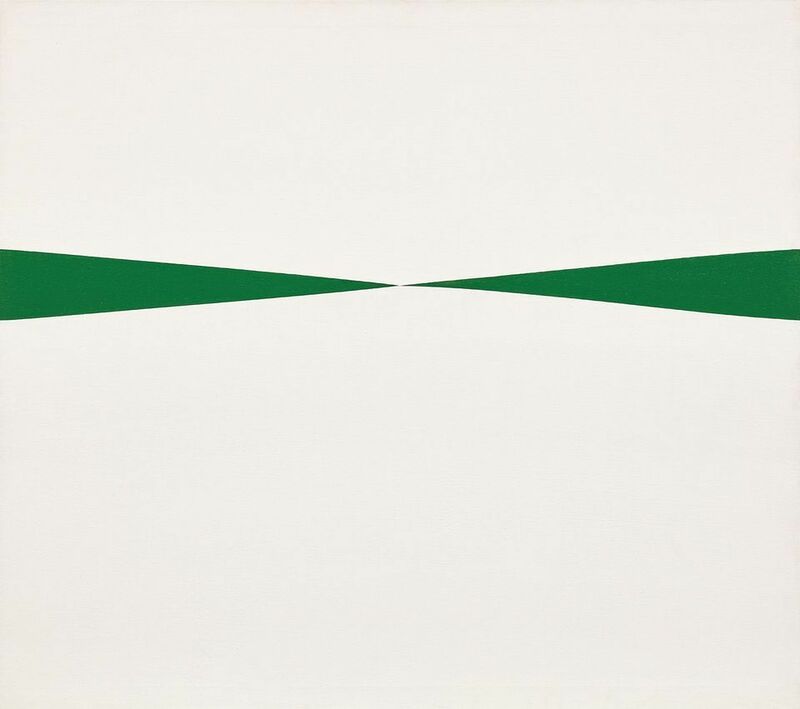 The Cuban-American artist’s Blanco y Verde (1966) sold for $2.2m ($2.6m with fees). This doubled Herrera’s previous record, set at Phillips exactly a year ago when Untitled (Orange and Black, 1956) sold for $1.2m with fees. The Brooklyn street artist KAWS, fast becoming a darling of the Upper East Side, had two paintings sold for over $2m on the night of 15 November. First at Phillips, his acrylic painting Untitled (Fatal Group, 2004) sold for $2.7m ($2.9m with fees), well over its $900,000 high estimate. Later in the evening a painting by the artist also sold at Christies for $2.4m (including fees), quadrupling its high estimate. Each to their own.